In their 73rd auction, Hermann Historica will present an incredible selection of armour and weapons from courts around the world spanning three thousand years of history. A helmet belonging to the legendary musketeers, which Alexandre Dumas immortalised in his novel The Three Musketeers will be featured. The Mousquetaires gris de la Maison du Roi were responsible for the King's journeys. Their nickname gris derived from the fact that the Musketeers rode, without exception, on grey horses. 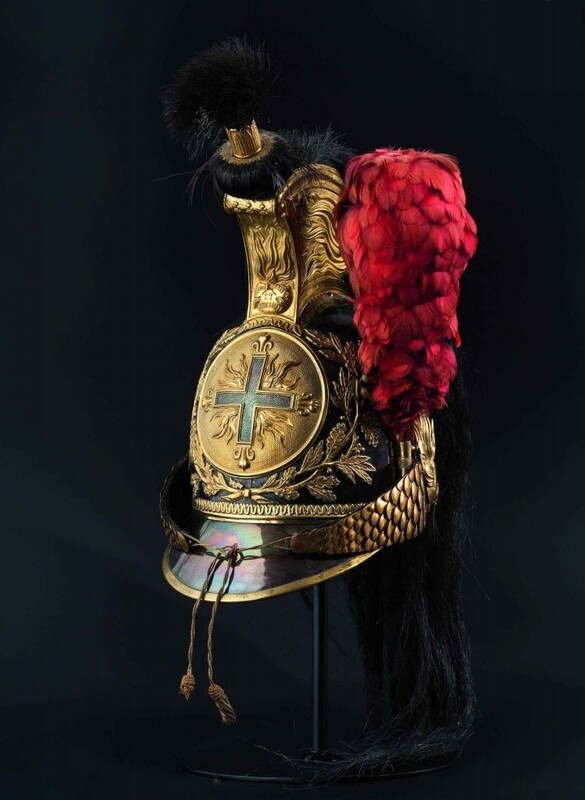 The extraordinarily rare helmet from 1814/15 is an opulent piece, with the long horsehair tail on its silver-plated copper helmet bell, estimated at €9 500. 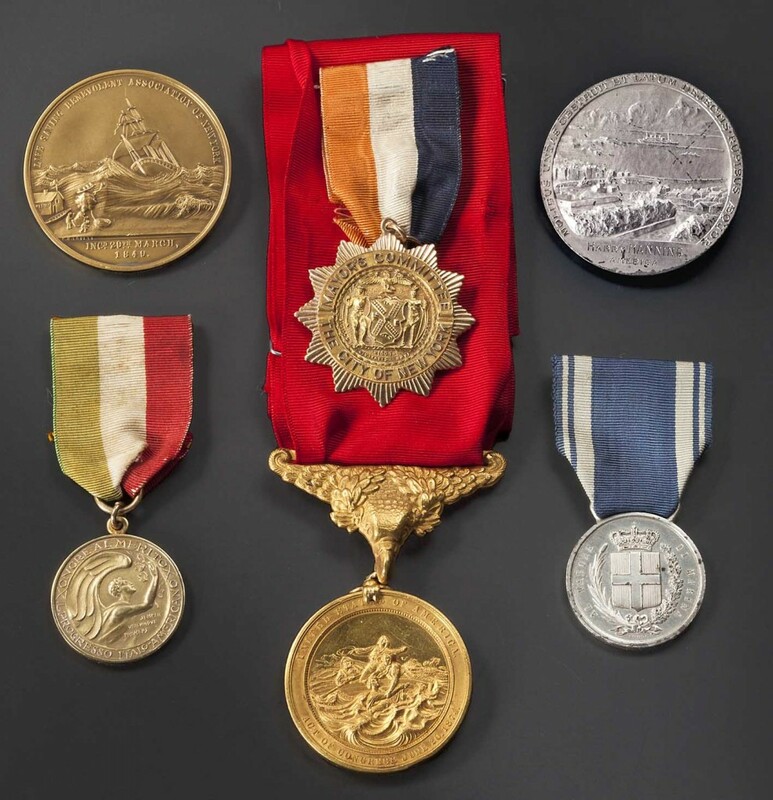 American history comes into play in the sale in the for of the Gold Lifesaving Medal and other awards presented to Captain Harry Manning (1897 - 1974) for the salvation of the Italian "Florida" crew in 1929. After training in civilian shipping, the German-born Manning quickly made a career and was hired as a navigator by the American aviator Amelia Earhart (1897-1937) for her flight around the world. A highly important, golden shashka M 1881/1910 with laid on, for bravery awarded St. Georgs medal with diamonds from 1914 from the workshop Eduard, St. Petersburg is glaring peak of the militaria auction. This order equipment is proved only eight times for the time of the first world war. 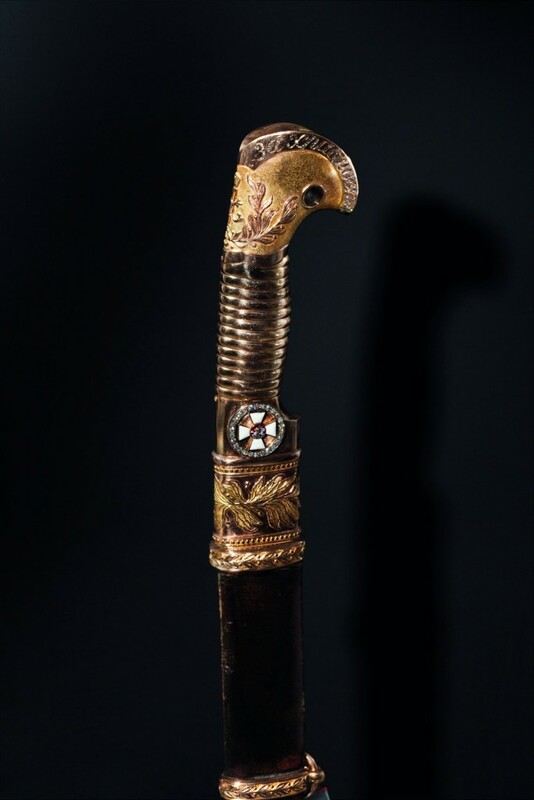 The precious workmanship with gold and diamonds as well as a floral decorated handle of solid gold make the blank weapon to an absolute unique, which also precipitation in the starting price of €100 000 euros. 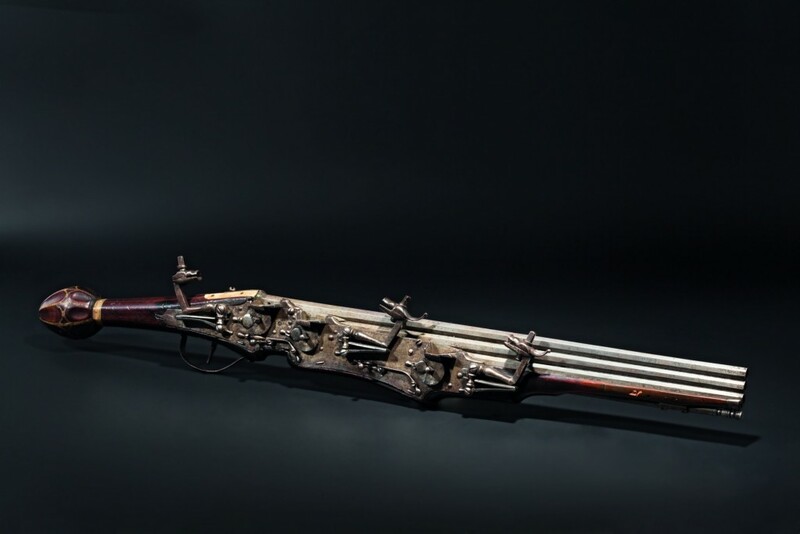 Rarely or never on the market and internationally documented in only a few museums, an absolute rarity can be purchased from €30 000 euros - a significant, three-piece wheel lock pistol from 1610. With inserts made of engraved and blackened bone, made of walnut wood in Germany, the pistol enthuses with the elaborate mechanics of its three locks. 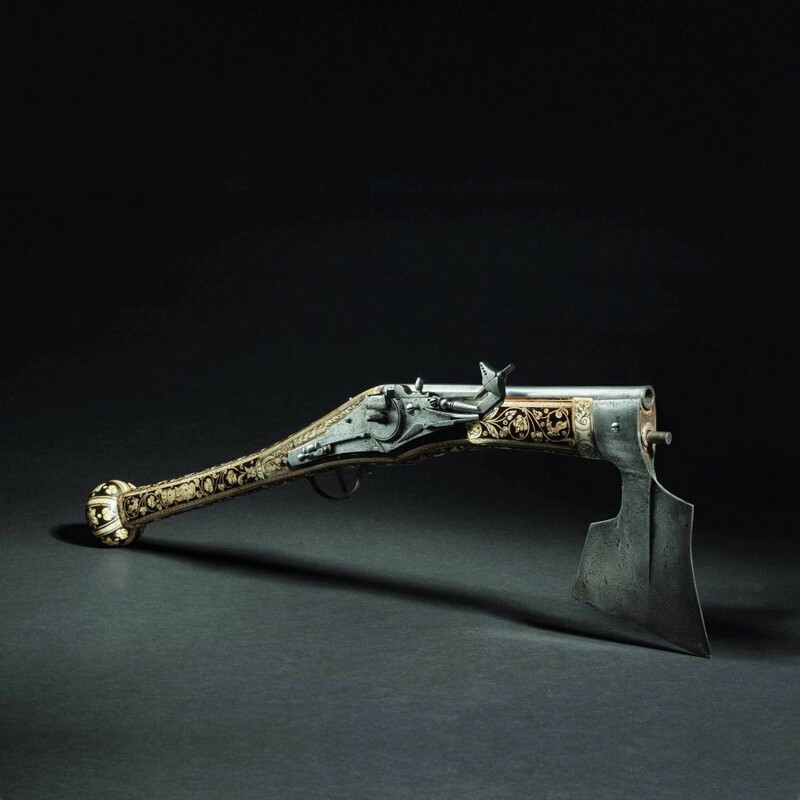 Impressive also, is an extremely rare combination weapon of battle ax with wheel lock firearm, which was manufactured in Nuremberg around 1580. With an engraved and blackened bone decorum richly ornamented shank of walnut, acanthus decorum on barrel and stirrup as well as a striking ax head, this specimen of the finest smith’s and gunsmith’s work is called with €28 000. 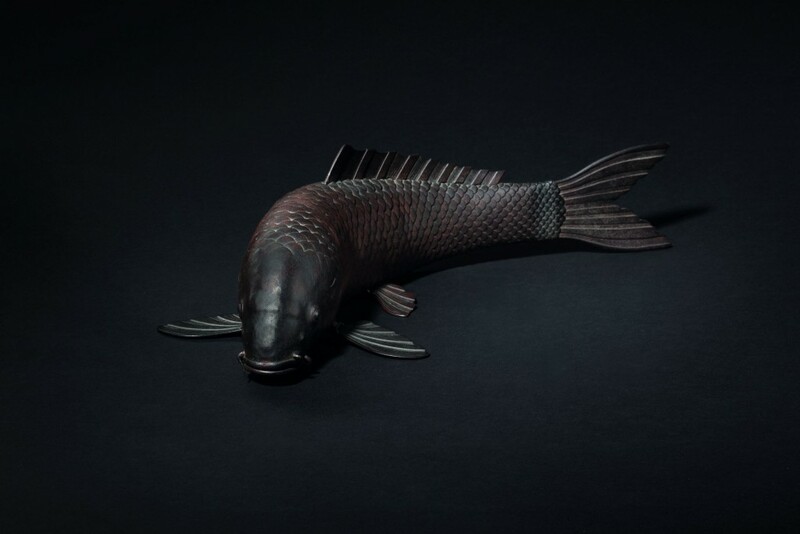 A Jizai Okimono from the Meiji Period (1868 - 1912), in the form of a fully mobile and engraved iron plate shaped as a Koi carp, is part of the collection. The elaborately worked Jizai Okimono came from the end of the Edo period and is associated with the devolvement of the samurai caste. 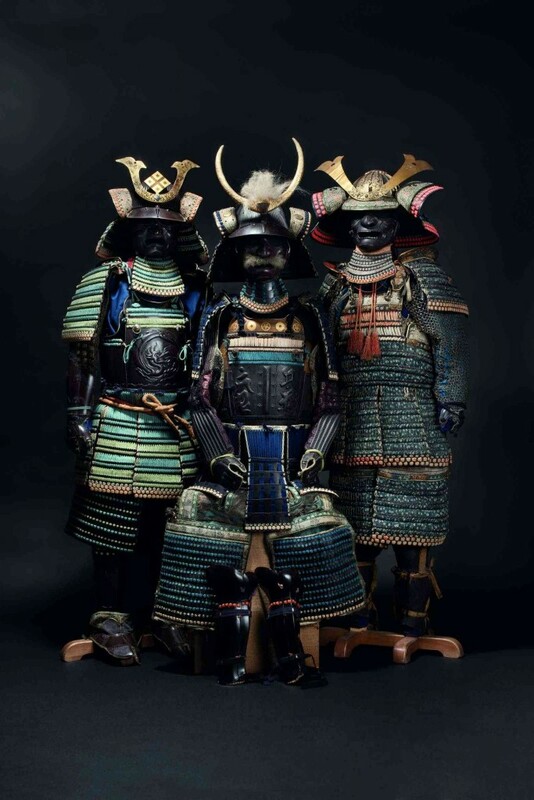 The famous and highly specialised warriors lost their sources of income and subsequently turned their craftsmanship skills into the production of Jizai Okimono. 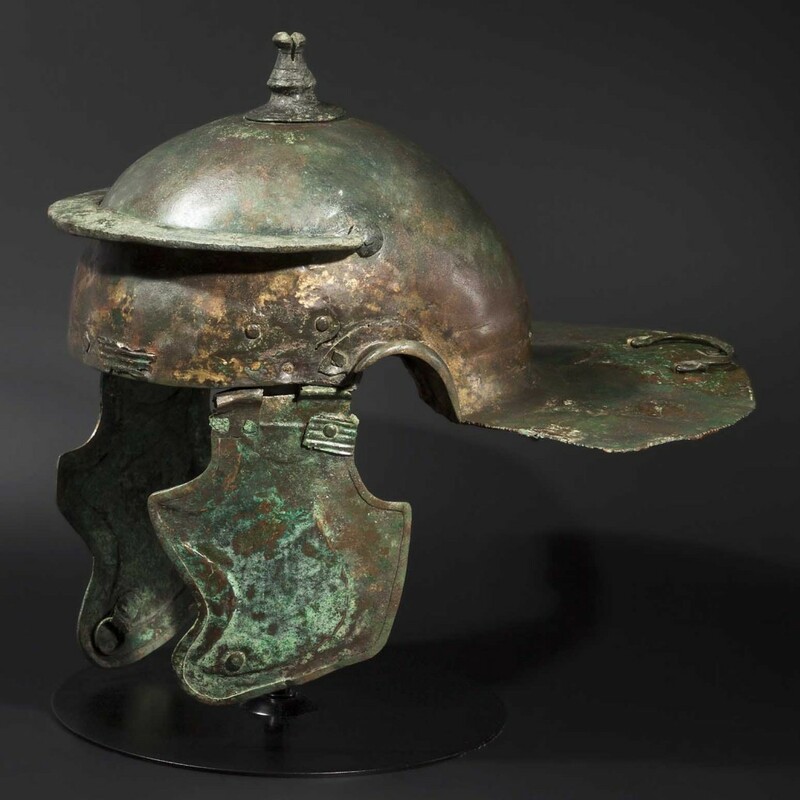 The sale also featured a Roman infantry helmet of the Weisenau type with the characteristic movable cheek flaps and sweeping neck protection and is from the renowned collection Axel Guttmann, Berlin. 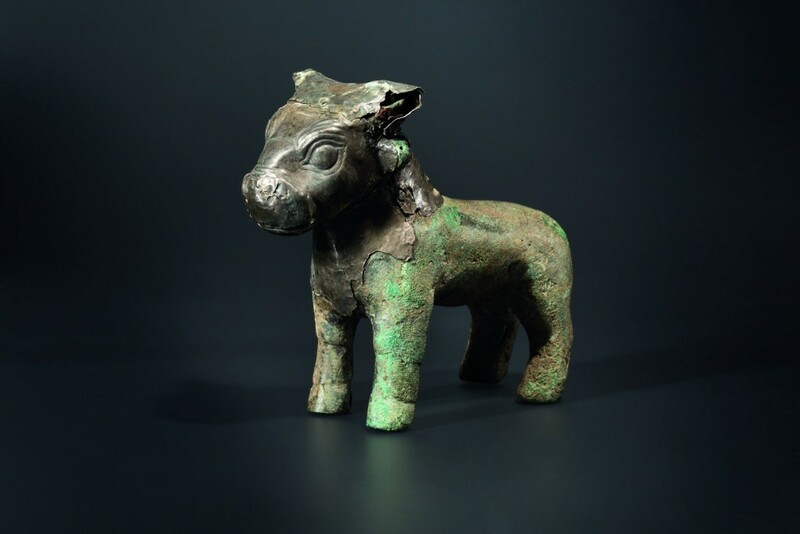 Early goldsmiths and silversmiths works include: a very rare Hittite bronze bronze bull figure, which is completely covered with rolled silver and featured the head pins for the attachment of horns. Worked in the 16th to 15th century BC and with an excellent provenance. 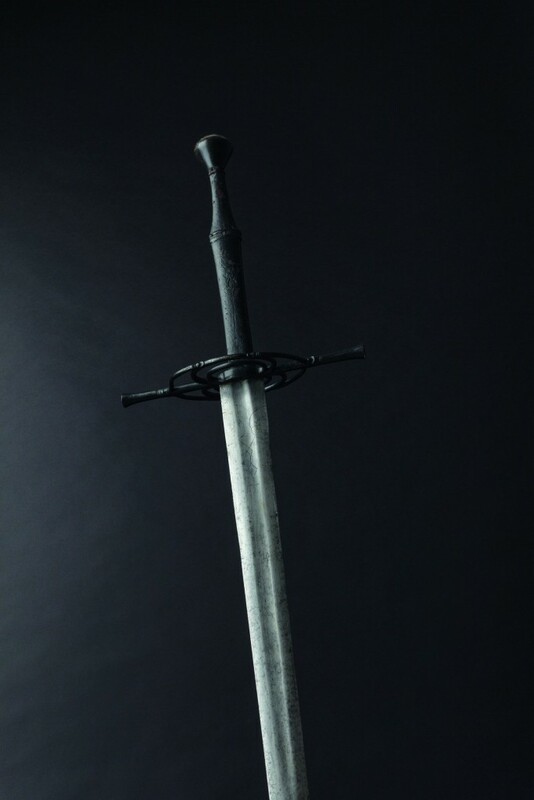 A well-preserved swords from the 16th century including a late Gothic, around 1500, Bidenhänder (''both-hander’'') from South Germany or perhaps Switzerland was also part of this sale. 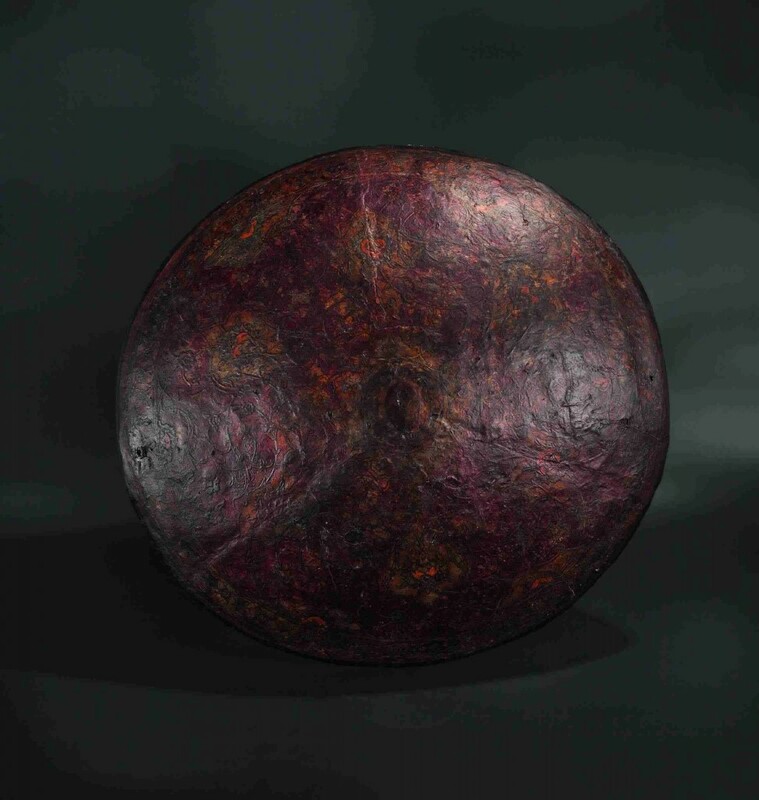 From the collection of the trabant guard of Wolf Dietrich von Raitenau, the prince-bishop of Salzburg from 1587 to 1612, a leather-covered, wooden parade shield, made in Venice, presented in a marvellous, undamaged state. The piece which was sold at Hermann Historica was finished in elegant colors, partly silvered and gilded, finely painted with flowers and coat of arms cartouche, this beautiful piece. 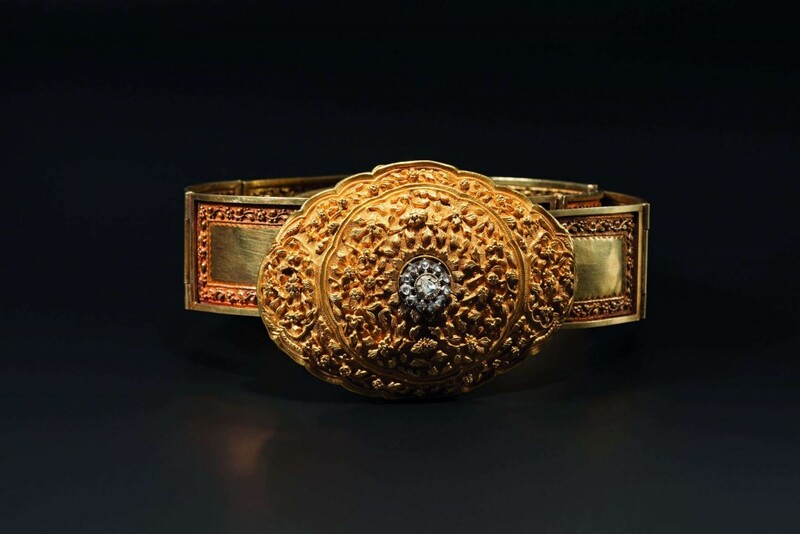 From India, a very valuable, gold diamond-studded jewellery belt from the first half of the 20th century went under the gavel. The piece is made entirely of gold plates, which are connected with hinges and the oval clasp features twelve diamonds. All prices are net price plus 23% buyers' premium. Check out the full catalog here.